In this hilarious Christmas classic, a couple struggling to put on a church Christmas pageant is faced with casting the Herdman kids—probably the most inventively awful kids in history. According to Wikipedia, the Herdmans engage in “misfit behavior” for their age such as smoking, cussing, drinking jug wine, and shoplifting. 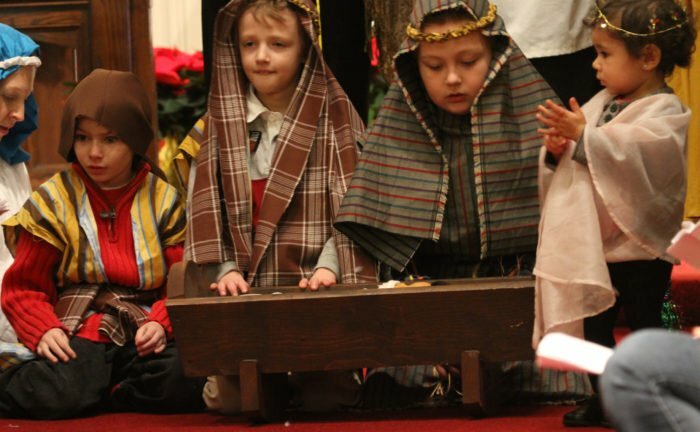 They go to church for the first time after being told that the church offers snacks, and despite protests from other church members, they are given roles in the Sunday school’s Christmas play, in which they tell the Christmas story in a nonconventional fashion. You won’t believe the mayhem — and the fun — when the Herdmans collide with the Christmas story head on. Show dates are December 8, 9, 15, and 16 at 7 PM and December 17 at 2:30 PM. Tickets are available at this location online.